Following is a cross-post compliments and with permission from Wisconsin ebird. View from Council Point, Wyalusing State Park. Photo provided by Friends of Wyalusing. Grant County was our randomly selected county for May, so we got local eBirder Alex Stark to profile Wyalusing State Park. Wyalusing State Park is a major destination for birding in Wisconsin, and the best place to see some of our southern specialties. Wyalusing State Park is composed of 2,628 acres of hardwood forests, pine plantations, bluffs, springs, waterfalls, wetlands and backwaters. It is located in the Northwest corner of Grant County in southwestern Wisconsin. Visitors can enjoy 23.7 miles of trails including 22.2 miles of hiking trails, 7.7 miles of mountain bike trails, 6.9 miles of cross country trails, 2.4 miles of interpretive nature trails and .8 miles of trails for people with disabilities. 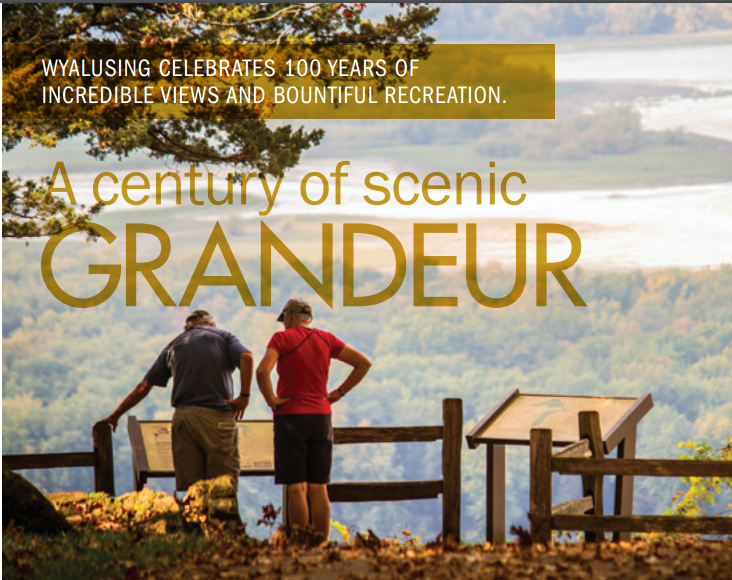 A visitor’s center, outdoor and indoor camping with restroom facilities, an astronomy observatory and historical markers within the park make this one of the crown jewels of the Wisconsin State Park system. There is quite a diversity of habitats ranging from oak savannah to hardwood forests. Starting at the entrance of the park birders will see an expanse of oak savannah and prairie. It is best to walk the road listening for resident birds such as Bell’s Vireo, Brown Thrasher, Field Sparrow, Yellow Warbler and possibly a Barn Owl or Loggerhead Shrike. Continuing past the park office, birders will arrive at an Astronomy Observatory. This is one of the most reliable places in the state to observe Henslow’s Sparrows, as they are traditionally summertime residents. During migration, this prairie is a great place to see Orchard Orioles, various other Sparrows and displaying American Woodcocks. After birding the prairie and savannahs, birders will enter into deciduous forests and eventually arrive at Point Overlook. While making the walk from the parking lot to the overlook birders should keep their ears and eyes open for singing Yellow-throated Warblers in the pine stand. This is traditionally one of the best haunts in the park to find this species. Once at the overlook, be sure to listen for species such as Great-crested Flycatcher, Yellow-billed Cuckoo, Black-billed Cuckoo, and Barred Owl. The overlook is a great place to view migrant warblers and flycatchers, as well as many species of raptors. 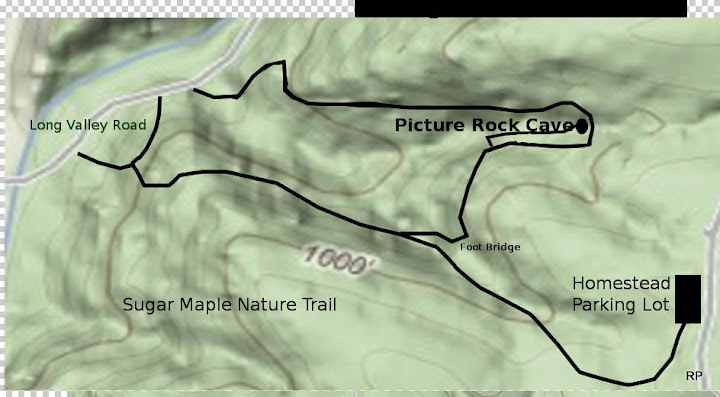 A short walk to the east will take you to the Ridge Campground. Some great birds that you can see at the campground include Baltimore Orioles, Red-headed Woodpeckers and Rose-breasted Grosbeaks. When birders are finished at Point Overlook and Ridge Campground they should continue down Long Valley Road. Birders should drive very slowly down this road to find the greatest diversity of species. Specialties that are found on this stretch of road include species such as Kentucky Warbler, Yellow-throated Warbler, Cerulean Warbler, Louisiana Waterthrush, Northern Waterthrush, Acadian Flycatcher, Wood Thrush, Scarlet Tanager, Yellow-throated Vireo and possibly a Hooded Warbler or Worm-eating Warbler. During migration this road is a great spot to find all species of thrush, orioles, all species of vireos, and many warblers. At the end of Long Valley Road you will find a boat landing. Be sure to spend some time walking around the parking lot as this is a great location to find birds in all seasons. In the spring and summer birders will find nesting Prothonotary Warblers, Bald Eagles, and Tree Swallows. In the fall and early spring, birders may find a wide variety of waterfowl and possibly shorebirds in the backwaters. In the winter months, birds become sparse but birders should definitely check any pine stands in the park. In these pine stands species such as Common Redpoll, Purple Finch, Pine Siskin, White-winged Crossbill, and even Red Crossbill have been found. Birders should be sure to spend some time at the park office watching the seed-filled bird feeders thanks to Beverly, the office manager who keeps them well stocked all winter. Text contributed by Alex Stark. Photos by Nick Anich, Friends of Wyalusing, Ron Howard, and Tom Prestby.